6 WEEKS to Balance your Blood Sugars and Reverse or Destroy your Diabetes! Ask yourself... What would you do if you didn't have to worry about diabetes? This 6-week online course delivers Dr. Dae’s teachings, about how to manage or reverse diabetes through simple lifestyle changes, directly to you. Dr. Dae uses plain language to explain medical terms so that you understand what is happening in your body. 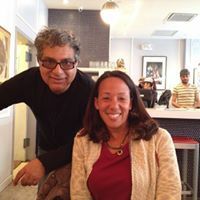 She also explains how to use improved lifestyle habits to get your numbers back to normal and allow your body the heal. You can reduce your risk for type 2 diabetes with some proven steps. A healthy lifestyle can help you prevent and manage health destroyers like pre-diabetes, type 2 diabetes, heart disease, high blood pressure, poor blood glucose levels and unhealthy cholesterol. Eating healthy is one of the most important factors to having a healthier lifestyle and reducing diabetes. Dr. Daemon Jones has helped her clients fight this dreaded disease and now she wants to help you. Short videos and handouts show you how to create new habits that are simple and fun! Once you realize how empowered you are to improve your health, you will never want to go back. Guess what!? You can get even better results even if you are already doing well now! This program is the answer! You don’t have to worry about how to regain your health after your diabetes or pre-diabetes diagnosis. You will learn how to reverse diabetes and reduce blood sugars to maintain optimal health. Common emotions you might feel after your diagnosis are panic, denial, confusion, frustration, anger and fear. These emotions are all born out of a lack of control over your health. It’s time to take control over your blood sugars and learn how to quiet down, or remove, fear by knowing exactly what to do to reduce, reverse and destroy diabetes. This course will show you how! Your doctor probably recommended that you use lifestyle habits along with your medications to manage your blood sugars, but this course will actually provide specific instructions on how to make those changes! Each week, you will be provided with step-by-step instructions to give you the first steps to taking control over your health with simple daily habits to help get your blood sugars back to normal. 6 Benefits in this Course that Power your Health & Healing! Diabetes depletes your body of essential vitamins and nutrients, putting you at risk for other diseases. In this course Dr. Dae will teach you how to restore your body through the healing power of whole foods, good sleep habits, exercise and stress management techniques. Can the foods you eat really make a difference in balancing your blood sugars? Absolutely! Dr. Dae shares the science behind how nutrients in certain foods and spices actually help to balance your blood sugars. You learn how to choose food that is flavorful and restorative, with simple recipes you can use right away. 3. LEARN TO MAKE EXERCISE CHOICES THAT BALANCE BLOOD SUGARS. After diagnosis, patients are often told to exercise or lose weight with no real direction about exactly how to achieve these goals or an understanding of what exercise will reduce blood glucose levels. Dr. Dae gives you specific exercises that have been proven in research studies to help you improve your blood sugar levels. You will watch, then do, exercises that make your life better and help start reversing and destroying diabetes. 4. DISCOVER REST AND RELAXATION TECHNIQUES THAT WORK. New scientific research has found that when you don’t get good restful sleep, your body becomes more insulin resistant. Dr. Dae teaches you how to get restorative sleep so your body can repair damaged cells and restore proper hormone balance. You will not only feel revitalized in the morning but you will also improve your blood sugar levels as a by-product. 5. DISCOVER SECRETS TO MAKE HANDLING STRESS A BREEZE. Dr. Dae shows you how to incorporate activities in your life that will ease your busy schedule and allow you to relax, breathe and reduce stress. Having symptoms of diabetes can not only be stressful, it can make you feel helpless. Fun and enjoyment can be part of your daily routine and have a profound,positive effect on your blood glucose levels. 6. GAIN LIFESTYLE HABITS THAT LAST A LIFETIME. The skills you learn in this course will prove valuable from your diagnosis through the rest of your life. Smart exercise, delicious diabetic destroying healthy food, stress management and restful sleep will be the foundation for your next phase of life! Destroying diabetes will not only be fun, it will be the smart thing to do. Dr. Dae removes the guess work and shows you exactly what to do daily. The 6 course modules include educational and fun videos and amazing handouts. Fully prepare to nourish yourself with the RIGHT habits to balance your blood sugars to normal levels. EMPOWERED: You will understand your (pre-)diabetes diagnosis better than you ever have before and you will have tools to help you reverse it back in the direction of health. CONFIDENT: You’ll know how to improve your health with simple lifestyle habits. RELIEVED & AT EASE: You’ll have a road-map to follow for what to eat, exercise, stress management and sleep that you'll need to get your blood sugar levels balanced. SUPPORTED: Diabetes can feel too overwhelming to take on alone. Using the online forums to share your challenges with Dr. Dae and others who are going through the same thing can give you ideas to ease the way. We will heal as a community. You will be part of a private, exclusive '6 weeks to Reversing and Destroying Diabetes' Facebook group. You'll have access to Dr. Dae’s easy-to-follow educational videos, which teach you about what is going on with your blood sugars along with lifestyle tips to follow. You’ll work at your own pace. The entire course will be delivered at one time, so you can move directly to the module you need when you need it or slowly digest the information over 6 weeks. You’ll have lifetime access to the course and receive updates when new materials are added. You’ll gain membership to our online community of people, through active forums and events. Learn how to lower your daily blood sugar levels and your 3-month HbA1c levels through lifestyle habits. Discover food and portion sizes that don’t spike you blood sugar levels. Stop the roller-coaster of high and low blood sugars that make you feel fatigued, fearful and frustrated. Enjoy an exercise program (added $197 value) that tones your muscles while lowering your blood glucose levels. Increase your energy, vitality and overall health while lowering your blood sugars, improving your weight, eating a healthy diabetic destroying meals and normalizing your cholesterol levels. It is important for you set realistic goals for how to lower your blood sugars safely; especially if you are taking medications. This module discusses how emotions about your diagnosis can impact how you manage your blood sugars. The first step in balancing your blood sugar is to understand why your blood sugar levels are out of normal range. Once you understand what is going on in your body, it becomes much easier to make the lifestyle adjustments to correct it. The key to balancing your blood sugar is eating the right food. Learn how to balance carbohydrates, proteins and fats on your plate and you will prevent your blood sugars from rising and crashing in an unpredictable way. The type of exercise that you do affects your blood sugar levels differently. Learn the secrets of how to use exercise to make positive impacts on your blood sugars and your overall physical wellness. Over 60% of Americans have sleep disturbances a few times every week. Did you know that this can cause your blood sugars to worsen? Learn simple methods that can improve your sleep and your blood sugars at the same time. Your stress hormones actually influence your blood sugars in a negative way. Learning to manage your stress can directly improve your blood sugars, weight loss, heart disease and you overall all mental state. 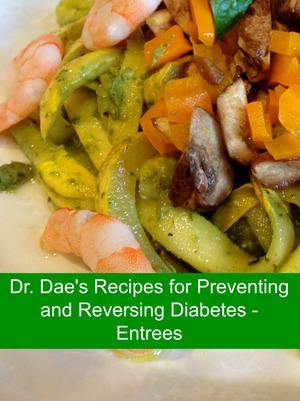 Get in the kitchen with Dr. Dae! 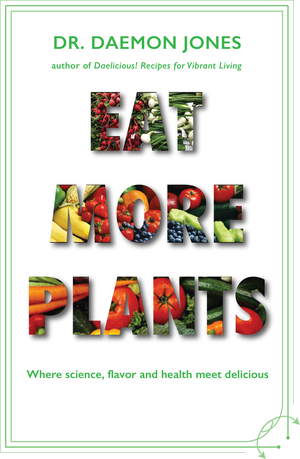 You will receive recipes and cooking demonstration videos where Dr. Dae shows you how to prepare some of her favorite blood sugar balancing recipes from her latest book, Eat More Plants: Where Science, Flavor and Health Meet Deliciousness! This will help you to see how to easily eat delicious blood sugar balancing foods everyday. "Dr. Dae was the first doctor to take the time to explain what was happening to my body. I am happy with her step-by-step approach"
I wanted to find a way to get off my blood pressure medication, I was frustrated with the lack of attention and service my previous doctors had given me, including not giving me any advice for how to correct my borderline diabetes. My work requires me to do manual labor with my hands over my head for long periods of time, which was causing me excruciating pain from my shoulders down to my hands. At night I had to sleep on the recliner so that my hands could hang down. If I tried to sleep in a horizontal position, the pain would wake me up. Under Dr. Dae’s care, in four weeks, the pain in my shoulders and hands was gone. I could do my job pain free and I was able to sleep in the bed again. Click here to view additional online courses with Dr. Dae, to help you achieve your one sweet life and best self! The course starts now and never ends! It is a completely self-paced online course — you decide when you start and when you finish. I recommend that you do the course one module every week for six weeks.You can go back and review the information whenever you like. How does a lifetime access sound? After enrolling, you have unlimited access to this course for as long as you like — across any and all devices you own. All you have to do is sign in and you’re in. We would never want you to be unhappy! 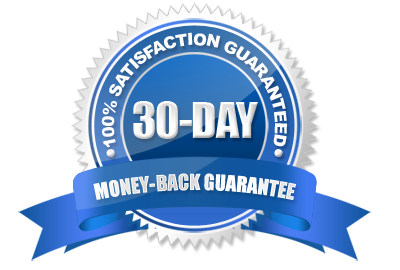 If you are unsatisfied with your purchase, contact us within the first 15 days from the date of purchase and we will give you a full refund. Can I take this course instead of going to my doctor? This course was designed to give you detailed lifestyle changes to use in conjunction with doctor visits and lab testing. Too often I have had patients come saying they needed step-by-step treatment plans to help them integrate lifestyle habits to balance blood sugars. This solves that need, but laboratory testing is mandatory to make sure the plans are working. Can I get off medications if I take this course? After following this program, many of my patients have been able to reduce or stop taking oral medications all together! It depends on your commitment to make these simple lifestyle changes and get lab tests that prove you’re back to normal ranges. People taking insulin are able to reduce the amount of insulin, but Dr. Dae does not recommend trying to get off insulin without the full support of your primary physician. I’m a vegetarian. Will this course work for me? Yes! There are vegetarian recipes and menus for blood sugar balancing too. Absolutely! Course owners will have lifetime access and will receive notice of all updates. How much audio and video content is in the course? All told, there are close to 4 hours of video, plus downloadable content and resources. The videos range from 3 to 10 minutes in length. The purpose of this course is to help you create optimal health! If you don't feel that you have learned anything new or helpful in this course in the first 4 weeks of this course (that's 4 modules in), just contact us and we will refund your money. Why I want to teach this class? Week 1 - What are you doing Now? Goal Setting!